Greetings fellow Citizens – check here for a summary of the October Monthly Report! Apologies for our delay in getting this summary completed. Huge thanks to Sunjammer for the fantastic work on this! – Progressing the strategy for the Item System revamp to make it less resource intensive. – Fine-tuned the radar to improve how it represents occluded or partially hidden objects. – Implemented rotational limits of hard-points to prevent clipping and gameplay exploits. – Implementing new flight modes into IFCS and integrating IFCS into EVA movement. – Completing the 16:9 diegetic screens for multi-crew to provide improved real estate for information and broader details for each role. – Prioritized effort around how the redesigned Constellations will handle in flight: tech setup; tuning flight characteristics and centre of mass. – Written the technical documentation for the Salvage mechanic and designed the Crucible. – The Reliant and Xi’an Scout have met progress milestones. – Investigating new combat mechanics such as EMP/distortion and how it affects ship systems and components. – Finishing touches on the Constellation, working on the Reliant. – Provided ship and character concepts for SQ42. – Tweaking the descriptions in the Starmap and working with scientists to generate more detailed astronomical data. – Working on PU requirements. – Assisting Chris in the UK editing the selects for SQ42. – Providing narrative and dialogue for the Crusader map. – Putting finishing touches to the Million Mile High Club. – Working to complete the Nyx Levski landing zone; ensuring certain areas, particularly the bazaar, are laid out as Tony wants. – Preparations for Shopping milestone: fantastic new shopping UI; polishing the Casaba Outlet environment; creating several new civilian clothing assets in the Terra, Fashion Casual line. – Discussing Character Customisation; expecting initial iteration to be ready for Shopping; generating additional hairstyles. – Adding new animations in preparation for Subsumption; polishing male locomotion sets. – SC Alpha 1.3 to PTU and then live: new features in ArcCorp including buggies and respawn; physics and collision work; performance optimisations; increased player count to 40; new chat functionality. – Planned releases: working on party system and additional functionality for the hangar elevator interface; optimising performance throughout the game; strengthening existing backend and adding new services; working on character networking optimisations. – Series of networking meetings; documented longer term plan and roadmap for essential networking systems. – Squishing game bugs for players and tool/editor bugs for developers. – Testing for live demo for CitizenCon. – Testing for live deployment of SC Alpha 1.3 including five deployments to PTU; outstanding issues deferred to 2.0. 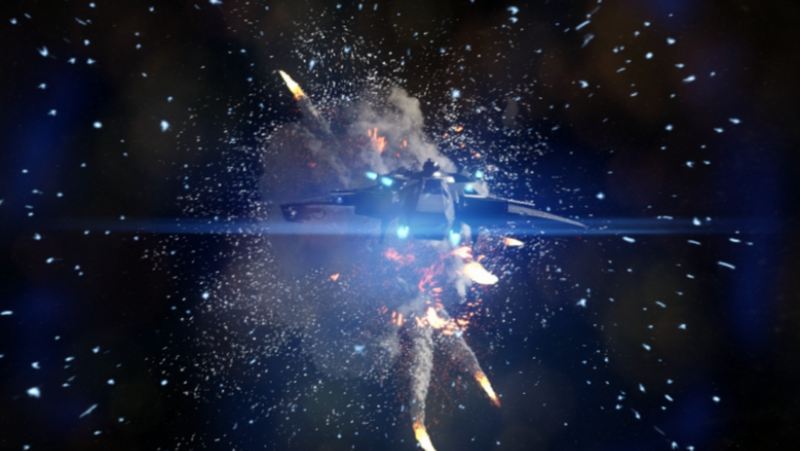 – Ongoing testing for SC Alpha 2.0 and the Crusader system. – Testing the newly implemented IFCS modes for each flyable ship. – Testing ship flight in SC Alpha 1.3 and 2.0 to enable Calix Reneau to compare both environments and effectively tune flight characteristics in 2.0 to his intended specifications. – Vincent Sinatra joined and will be focusing on proper flight characteristics, system functionality and “special projects” for LA. – Melissa Estrada traveled to Frankfurt to train Christopher Speak on SC specific processes/procedures; and discuss automated testing development. – Continuing to assist players with technical support attention; focusing on reports of hacked accounts: make sure you are keeping your information secure and don’t share with anyone! – Ensuring most pressing Issue Council reports get attention; planning to start publishing results showing how player feedback affects the development cycle. – Bringing on a new team member in Manchester to expand hours of operation and lower ticket response times. – Planning controlled PTU play sessions for SC Alpha 2.0 which will ramp up over time; will provide a special play for feedback and bugs. – Rolled out new services and upgrades; increased pace of builds; finding improvements to long haul transfer times to unprecedented levels. – Worked closely with new System Engineer to implement a new phone system; a sizable storage upgrade and the fibre internet upgrade for the Frankfurt studio. – Excited to torture performance test various configurations of Intel’s latest SSD drives in the game build an publishing environment. – Enabled QA and Production to deploy game servers for specific builds. – Continuing to improve the new build system with “nice-to-haves” now the core functionality has been fully implemented. – Improved internal build pages that allow developers to check the state of builds, monitor builds and copy builds without additional tools. – Improved how game data is uploaded to Amazon for faster and smoother distribution to players. – Updated the launcher with bug fixes and added analytics to improve services. – Focused on getting the first phase Crusader build into players’ hands. – Added Cry-Astro service stations to Crusader map to allow players to refuel, rearm and repair (initially for free). – Implemented several starter missions around map and a specific location for FPS combat. – Reassigned design resources back to SQ42 now critical blockers have been removed from 2.0. – Made great progress on the AI system; looking to get an asteroid base into future release. – An awful lot of work to ensure CitizenCon was the best sounding event. – Dialogue work (and music from Geoff Zanelli) to ensure the Bishop’s Speech and Morrow Tour vocal performances were as good as they were. – Sound design (and music from Pedro Camacho) for the Starmap. – Sessions for updated ship computer material and various points of interest in SC Alpha 2.0. – Continuing work on sound for Social Module: started on Million Mile High Club. – Continuing work, especially foley, on FPS; looking to improve EVA sound scheme. – Creating entirely new pass-by effects for specific ships and manufactures making them more identifiable. – Continuing to evaluate 3D audio tech for the best solution for VR and headphones. – Big push to get the p-cap pipeline running to support Morrow Tour. – Getting FPS animations in order for SC Alpha 2.0: polishing existing assets; working with Design and Code teams. – Training a new animator joining Frankfurt to support FPS team. – Supporting live releases of SC Alpha 1.3. – Demoed Crusader, the Morrow Tour and ARK Starmap at CitizenCon. – Testing the hell out of SC Alpha 2.0. – Conducting in depth performance testing and providing the information to help Austin engineers optimize Crusader as much as possible. – Stress testing and fixing bugs for distant shadows; multi-crew ship damage; improved LOD system; advanced face wrinkle shader. – Looking at lots of performance issues and CPU optimisations for the increased number of objects with associated larger maps. – Focusing on improvements to the face shader: trialing a new technique that vastly reduces the memory cost to a fraction of what it is and actually achieves more detail. – Reworking of UI rendering to make it cheaper to render and fit better into the scene. – Reworking the shield shader for a major visual and performance improvement. – Working hard to get the large world map released into the wild: polishing, bug fixing and performance improvements. – Improving the Retaliator’s damage so it can be split in two: the interior has to be broken in two and new instances created; designing robust network syncing for the debris system. – Hiring artists across the board from all over the world. – Concept work on Xi’an Scout, Freelancer and Starlancer Starfarer. – Producing characters for SQ42 and heads for promo pieces. – For SC Alpha 2.0: polishing and optimise ship damage effects and resolve how interior effect trigger when receiving exterior damage. – Sanity check on ship thruster effects to make sure they were still behaving as expected post-IFCS update. – Ambient environment effects polish and optimisation for Crusader; focus on ensuring effects are as efficient as possible due to the sheer quantity required: there are a plethora of optimisation settings to play with so the effects shouldn’t cause too big a performance hit. – Working with graphics engineer to ensure particles are being correctly lit and shadowed based on location and placement. – Began R&D on a new type of ship weapon. – Establishing the Starfarer’s interior hero areas which will then serve as the foundation kit for all other internal areas. – Establishing the MISC exterior shader set/style; working up thrusters and landing gear. – Marching Vanguard towards “Hangar ready” using the Aegis shaders and mesh parts established during the Retaliator production. – Freelancer is taking shape; worked hard to create something new, interesting and functional for the cockpit fitting and UI. – Currently greyboxing the Sabre before being passed to ship tech and then final production. – CitizenCon was test bed for how to approach dressing larger multicrew ships. – Supported the animations and performance captures. – Lots of work to be done on smaller scale human props to sell the “lived in” feeling for ships. – No focusing on ship components and shopping experience; supporting Design to ensure they have all the options they want for the players and ensure an immersive shopping experience. – Optimise, test, polish, bug, repeat. – Final level of dressing has been added to scenes. – SC Alpha 2.0 showed how modular building sets can work to create space stations real time in the editor. – Prototyping new scope attachments; experimenting with lens shaders. – Continued to develop the manufacturer style guides and the high level production pipeline for ship and personal weapons. – Looking into best practices for creating modular elements to build space-station-like-structures: experimenting with various ways of combining them to build new areas quickly, while maintaining high standards of artistic and gameplay quality, and to have the flexibility to alter the flavour and content of an environment (e.g. from UEE to pirate). – Working to ensure the new character setup fits the new modular suit design. – Finalizing the systems need for AI to function properly. – Revisiting Careers: fleshing them out and trying to reorganise them into player activities; splitting each activity into its base systems/mechanics; lots of documentation. – Working to ensure the quality of FPS stays on part with the rest of SC. – Adding and polishing effects for the PU and Arena Commander. – Making libraries of various types of space dust to place around asteroid fields. – Improved particle refraction: removed ghosting artefacts; added ability to blur refractions. – Some clean-up to the UEE senate scene in preparation for revisiting it. – Finishing the senate hall environment: including textures; modelling the senate hall pieces with tables; and so on. – Started working on giant outdoor set involving an even bigger capital ship and Bishop. – Started working on the first scene with Mark Hamill’s character. – Continued working on the McArthur Skydock: improving textures, making normal maps, and finishing diffuse and gloss textures; and building new parts like the huge columns and claws that hold the ship. – Focused on the Morrow Tour experience, improving and polishing the AI sequences and connecting them to AI behaviours for CitizenCon. – Enabled designers to requests activities in parallel like walking and talking. – Made a pass on the Usables to properly utilize them as navigation links. – Started our iterations on Subsumption to create basic routines for AI NPCs. – Now focusing on multicrew ships controlled by AI and FPS AI. – Enabled the zone system to register general AIZoneObject so that we can have multiple AI objects connected with the zone system without polluting the API. – Started with the cover information so that behaviours can correctly query cover spots. – Working on the first version of our systemic combat behaviour: creating basic tactics the AI can select during the combat. – Focused mainly on bug fixes and small features. – Improved flight pass-by sound effect logic: made it possible to tighten the ship flyby sound effect timing and, in turn, make the sound much more detailed and focused. – Refining the build system to make it more stable and bullet proof: a lot of effort has been put in the buildmonkey front end page so QA can now deploy servers at the click a button. – Experimenting with docker to help improve tool stability: the build system will have its own continuous integration system : currently whenever there is a change to the master branch a new build server will automatically spin up within a docker container. – We also got visited by Alex P from the ATX studio. Within CIG he’s one of the most knowledgeable individuals for server automation, chef and general live service management. That week’s been very productive in terms of getting deeper knowledge into certain systems. – Main focus was upping the quality of our two October releases: CitizenCon and SC Alpha 1.3. – Worked on several optimizations, mostly around the Zone System and CPU side object culling. – Improved our thread backend to be more optimal for a PC only game: switched to a batch-oriented, work-stealing approach which massively reduced the cost to communicate with different and reduced the contention between the worker threads as they now communicate with each other instead of over a central queue. – Nearly all legacy jobs have been ported over to this system, including all CPU side culling for the Zone System. – Encapsulated the physical parameters from the animation hierarchy and moved the entire code and all data structures into the physical hierarchy. – Performed a radical clean-up on the synchronization code between the animation and physics modules; added debugging features to display the physical state of articulated entities. – Helped the FPS team build a new animation rig which makes full use of existing engine features like animation driven IK, which makes “runtime retargeting” and “procedural motion warping” possible on animated characters. – Added several new debug features to visualize the primarily joints of the rig and display the inner workings of animation driven IK: will allow cockpits and crew stations to have more of an individual feel rather than seem artificially or excessively templated. – Working with Austin to take the next step for the shopping experience: working on stores for upcoming locations. – Working on giving players more feature for the character customisation system. – Setting up amazing vistas for Nyx. – Finished the final art pass on the Million Mile High Club. – Polished and completed our first iteration of the Loadout Selector usable item. – Added lot of new features to the Chat: create private conversations, filter conversations. – Completed the Transport Elevator Console modifications: destinations are populated directly by the Location Service (Backend); players can access to different instances of Area18; and player can choose a specific instance based on how many of their contacts are in it. – Worked on the Ship Selector usable item to enable players to select and spawn a vehicle on a landing pad; list of ships will reflect the list of ships the player has. – Working on adding a Party-forming functionality through the Contact List and fixing various Scoreboard Issues for Star Marine. – Working on a framework that allows some UI Elements (i.e. Chat, Contact List) to adapt when a player passes from First Person View to Third Person View. – Provided support for the production of Flair items for the Referral program. – Working on a UI Development Toolset; having it tested by different team members to catch any Issues before we roll it out to other studios. – Working towards the SC Alpha 2.0 release: providing support, bug fixes few interesting issues with ships and behaviour tweaks for encounters on the Crusader map. – Made improvements to spline flying for ships: gave AI the ability to avoid obstacles on a spline while still ignoring obstacles the spline brings it close to; added the ability to provide extra mark-up in places where veering off the spline to avoid an obstacle would make a ship crash; if a spline is moving its position will continue to be updated even as a ship is flying along it and the ship will do its best to stay on the spline. – Continued working on death spirals: expanded it to the more general concept of “death flourishes”; working towards a generalized framework to delay the destruction of an AI ship when it has become fatally damaged; hoping to expand the list of possible death flourishes to allow for unique deaths for certain types of enemies. – Refactoring the ship take-off and landing system: reworking several aspects to use Kythera behaviours for control during all but the final vertical descent/ascent to the landing pad; replacing scripting with integrated take-off and landing splines which ships can automatically select based on their approach direction. – Unveiled the Referral Program was at CitizenCon: rewards the new recruits and implements unique rewards for backers every time that someone used their referral code. – Added a new SQ42 landing page on the website to introduce this exciting new single player module. – Added the Aegis Sabre to the pledge store: the Sabre was a hot item potato rivaling the sales and excitement of much larger ships. – Unveiled the long-anticipated Starmap: thrilled at how the community has embraced it; continually collecting feedback to help plan future versions; working to make it as polished, realistic and comprehensive as possible. – Currently planning our next projects for SC and cannot wait to present them.